Seeking a third straight success story for the MTSU Experimental Vehicles Program, nine members of the Formula Hybrid team are in Loudon, New Hampshire, this week competing in the Society of Automotive Engineers, or SAE, Collegiate Design Series. 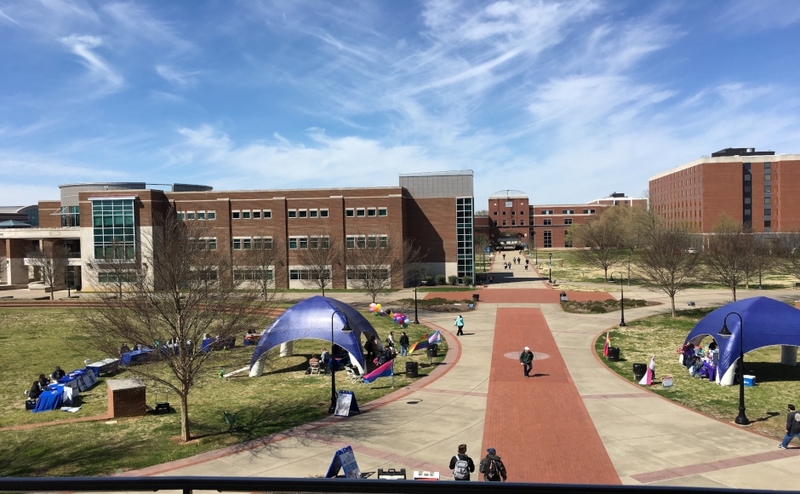 The April 27-30 Formula Hybrid competition is an interdisciplinary design and engineering challenge for undergraduate and graduate university students. They must collaborate to design and build a formula-style electric or plug-in hybrid racecar and compete in a series of events. This educational competition emphasizes drivetrain innovation and fuel efficiency in a high-performance application. 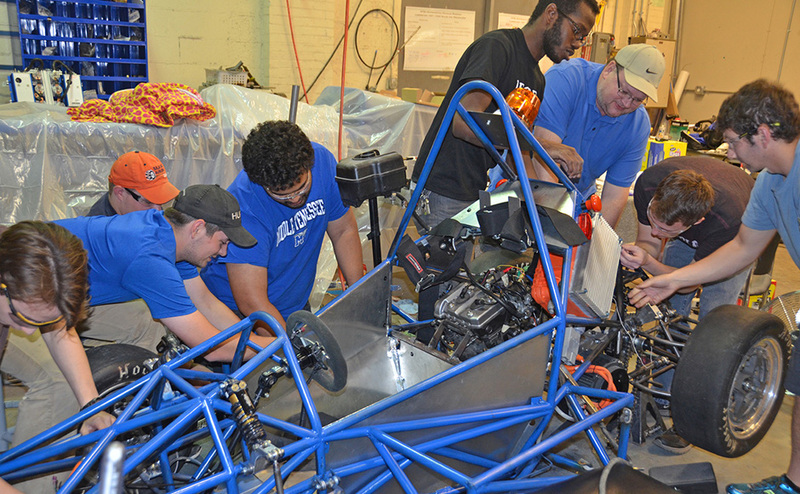 MTSU will be looking for a third straight strong performance in the past four weeks from its Experimental Vehicles Program entries. 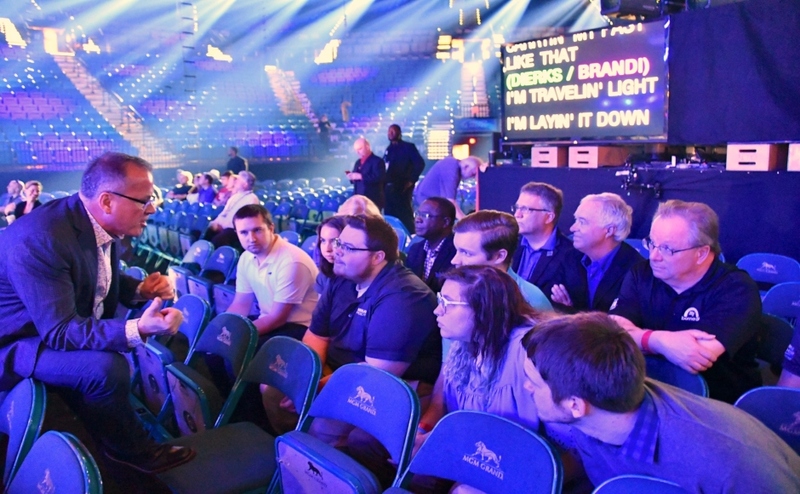 On April 18, one engineering technology department lunar rover entry placed first in the U.S. and third against international competition at the NASA Human Exploration Rover Challenge in Huntsville, Alabama. MTSU placed in the top 30 universities at the Baja SAE Collegiate Design Series at Opelika, Alabama, near Auburn, April 9-12. This marks MTSU’s first time to compete in Formula Hybrid. Competitors will include defending champion University of Idaho, Lawrence Technological University and Embry-Riddle Aeronautical University in the hybrid division, and defending champion Dartmouth, the University of Vermont and Carnegie Mellon University in the electric-only class. By April 29, the team received the award for top presentation. Graduate student Jeremy Posey, who accepted the award, said MTSU’s presentation score was the highest in the nine-year history of the event. “We’ve got some fine-tuning to do,” added Morgan, a mechatronics engineering major and Michigan State graduate, on the eve of the team’s departure from MTSU for Loudon and the start of the competition at the New Hampshire Motor Speedway. The track is the home of NASCAR and IndyCar events and the Loudon Classic, the oldest motorcycle race in North America. Including the driver, the MTSU open-air, single-seat Formula Hybrid vehicle weighs about 900 pounds. It features both combustion and an electrical engine. Last-minute circumstances forced the team to buy a 250cc Kawasaki motorcycle in order to transfer its combustion engine to deliver the hybrid aspect to the MTSU entry. The 2014-15 team inherited the metal frame that was designed several years ago. Led by Morgan and co-captain Robert Johnson, 25, of Spring Hill, Tennessee, the team redesigned various front-end suspension components. Graduate student Cary Woodson, 47, of Mt. Juliet, Tennessee, assisted Johnson with all the electrical aspects on the rear end. Morgan said a cool feature is running the brakes on the sprockets (a wheel with teeth that mesh with a chain or other material) — something he has seen on motorcycles, but never on a four-wheel vehicle like this. We all know that science change life. and the research about universe is the most difficult in modern science research , we should congratulations in any step of science improvement. But today I want to say something about electricity , I believe it is the future of power.